The new fame that Damian McGinty is enjoying on The Glee Project begs the question -- will the youngest bird leave the nest of the wildly popular Celtic Thunder show? I’m not sure how that will play out, but the show has endured the departure of some players and the addition of new members over the last year. 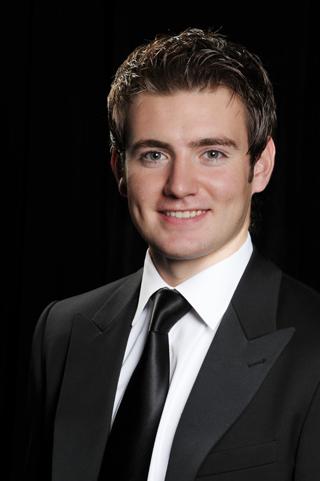 Emmet Cahill, fresh from his win as the 2010 John McCormack bursary for the most promising young tenor, and recognition as most promising young singer at the Royal Irish Academy of Music, has joined the ensemble. He has been a multiple prizewinner at the National Feis Ceoil singing competition in Ireland. Cahill is 20 years old and hails from Mullingar, Co. Westmeath. He starts his Celtic Thunder journey on the recently released Heritage with his rendition of a Phil Coulter song “Kindred Sprits,” which Phil Coulter, musical director of the program, wrote especially for him. Neil Byrne is a talented vocalist and musician who began his affiliation with Coulter after a mutual friend invited him to play at a function for Coulter. He began working with Coulter and was honored when asked to play bass guitar in his backing band. From here he was picked to record backing vocals for the Celtic Thunder debut DVD, and subsequently play lead guitar in the live show. Since then he has toured America and Canada extensively with the show. He shows off his guitar skills in a dueling guitar number “Whiskey in the Jar” with Keith Harkin. Celtic Thunder promises a fall tour called “Storm,” a compelling show that tells the story of a land struggle and cultural differences through the vibrant dynamic of musical theater. The show bursts forth onto a nighttime, flame-lit scene with an energetic, highly primal dance number to an underlying Celtic beat. “Storm” is a turbulent, raucous stand off between the darkness of gypsies, and the resolution of the settlers both fighting for the same piece of land. Sounds like True Blood in kilts! For more information, log onto www.celticthunder.com.